I haven't been blogging on my investments for a couple of weeks now. Other than the many company annual reports which filled up my letter box, the market has been rather uninteresting of late. My investments have been status quo with no additional buying or selling done. Somehow I'm waiting for the market to go lower for more buying opportunities. If the market crashes, it's even better since i'm not even heavily invested in the first place. Buying during a market crash may be the best way to make money in the stock market. But how many people actually dare to buy during a crash? During a market crash, there will be many negative news on the economy. Let me share with you my experience during a market correction. I would not classify this as a crash as its considered mild compared to a real crash. This was during the year 2011 where there was a possibility of a huge economic crisis looming. First it started with Greece defaulting on its debt then it spread to other neighbouring countries such as Spain, Portugal, Italy, France etc. Some of these countries were the top few economies of the world and they were in trouble. Many economist predict something disastrous is going to happen. The US market dropped almost everyday with a 600-800 points drop on the Dow Jones Index on some days. I saw the biggest decline on the STI i've ever seen with a 100 points drop in a single day. It is hard to buy any stocks when there is so much negativity. But those who did invest during these times would have made a huge profit and return on investment. It is therefore important to have a war chest(cash) on standby to take advantage during a market crash. How did these individuals manage to buy during times of trouble? I believe to have the courage to do that, we need to trick ourselves into buying and also have a clear strategy. The main reason why people are not investing in times of trouble is because of fear. Fear is all in the psychology of the mind. You want to buy a stock but you may think whether this stock will drop further? The way to counter this fear of a stock dropping lower is to divide your capital into different tranche. Do not buy a falling stock at one shot with all your capital. Buy some first and buy the rest if it drops lower. But how to know at which level to buy and how much to buy? Typically, during a market crash, most stocks drop a maximum of around 60%. Of course this company must have strong fundamentals and a good track record of profits. A bad company can lose everything and go bankrupt during a crisis. Knowing the stock price of good companies drop a maximum of 60%, we can divide our war chest into 2 tranches to buy first at 30% drop and the second at 50-60% drop. Or we can divide our war chest into 3 tranches to buy the first at 20% drop, the second at 40% and the third at 50-60% drop. With this, we will always buy something during a market correction or crash and at least make a decent profit. It is better than trying to predict the exact low of the market and end up not buying at all which most people do. 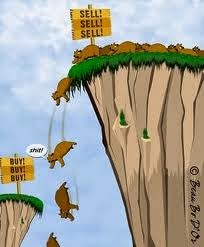 Many end up waiting for the stock price to go lower and scared that the stock price will continue falling. The psychology of this state of mind prevents one from buying stocks at a low. Technical analysis can also be one way to guide us on our entry buy price. By looking at charts, we can know how much a stock typically falls during a market crash. 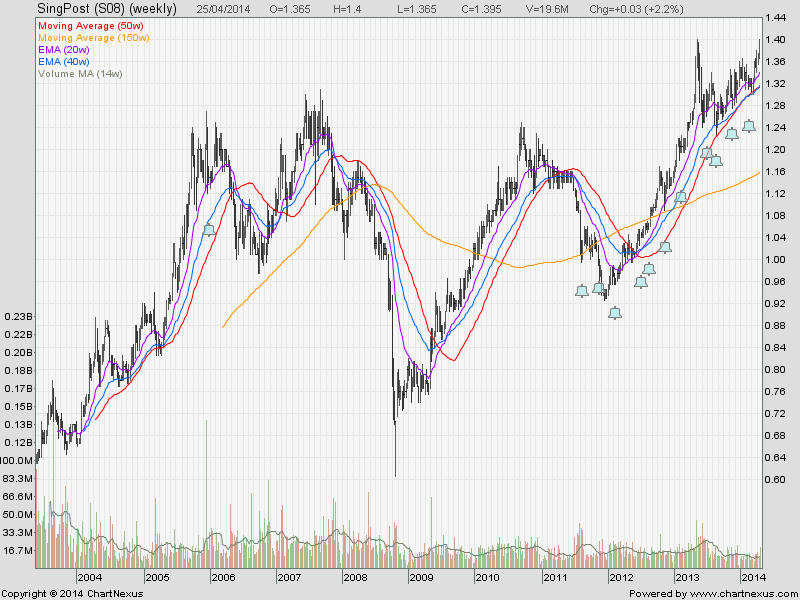 Below shows the chart of the company called OCBC bank in Singapore. During the 2007 financial crisis, this stock fell from $9.45 to a low of $4.14. That is a 56% drop. If we had bought first at 30% drop which is $6.41 and second at 50% drop which is $4.75, the average price will be around $5.58. The stock recovered from the low of $4 plus to $7 plus in just 3 months. You would have made a profit if you dared to buy during the crash. If we look at the year 2000 dot com bubble crisis, this stock also dropped around 56%. If we had used the same strategy, we would also have made a profit. Let's take a look at the next company, Singpost. This is also a stable company with strong fundamentals. In the 2007 financial crisis, this stock dropped about 53%. Applying the same strategy to buy first at 30% drop and the second at 50% drop, the same profit would apply. 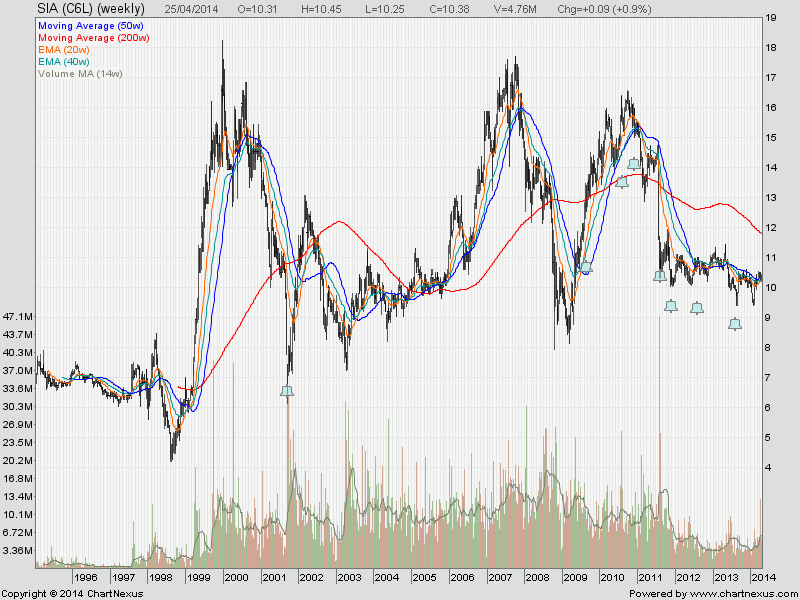 As we can see the stock price has already went above the high of year 2007. There are cases where the stock price of a company is cyclical in nature as seen in the company SIA(Singapore Airlines) below. This stock dropped 60% during the 2007 financial crisis. For cyclical stocks, we can still deploy the same strategy of buying in 2 or 3 different tranches but it will be futile to hold the stock throughout unless you invest solely for the dividends only. The stock price of these cyclical companies fluctuate up and down a lot and goes in a sideways fashion. Most of the time its better to sell it off for some profits before the next crash comes. There are many other factors to consider when buying a stock and each stock may behave differently. This blog post would not be able to cover all strategies. By allocating our assets efficiently and minimizing our risks by diversifying into a few other stocks, we can all make some money from the stock market. When the market is all good and prices are climbing, always remember to stash away some cash (war chest) to invest during a crash. As the market goes higher, i actually lessen my exposure to the market and keep more cash. 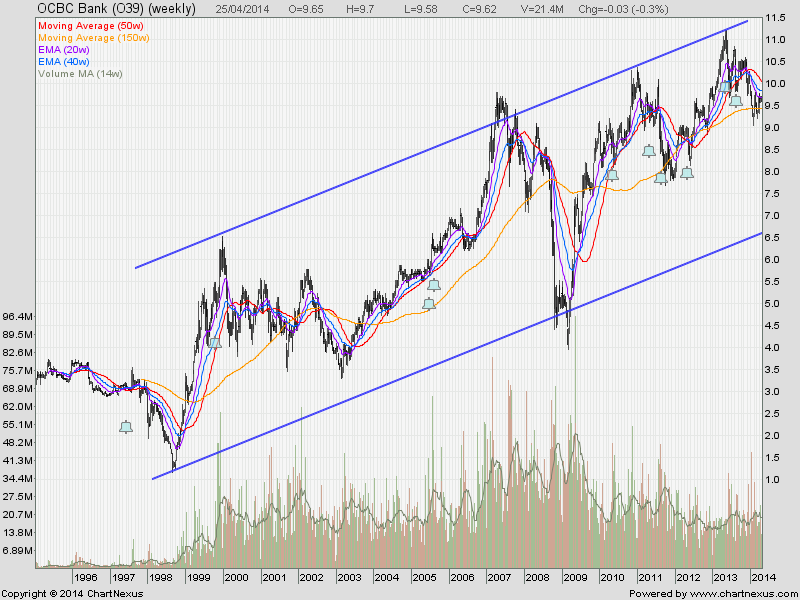 There will always be some form of correction which will allow us to buy stocks at much cheaper prices. I have prepared myself to 'trick my mind' into buying during a market crash. I know at what levels to buy and which stocks to buy when the time comes. Being prepared may be an edge to win this battle. Are you prepared for it? 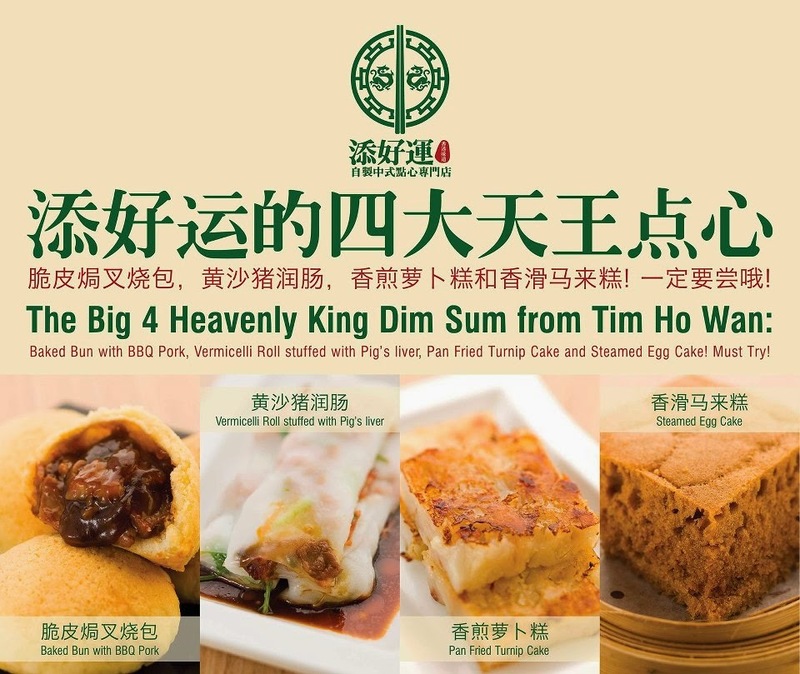 I've long heard of Tim Ho Wan for its famous dim sum when its first opened the first outlet at Plaza Singapura around last year. 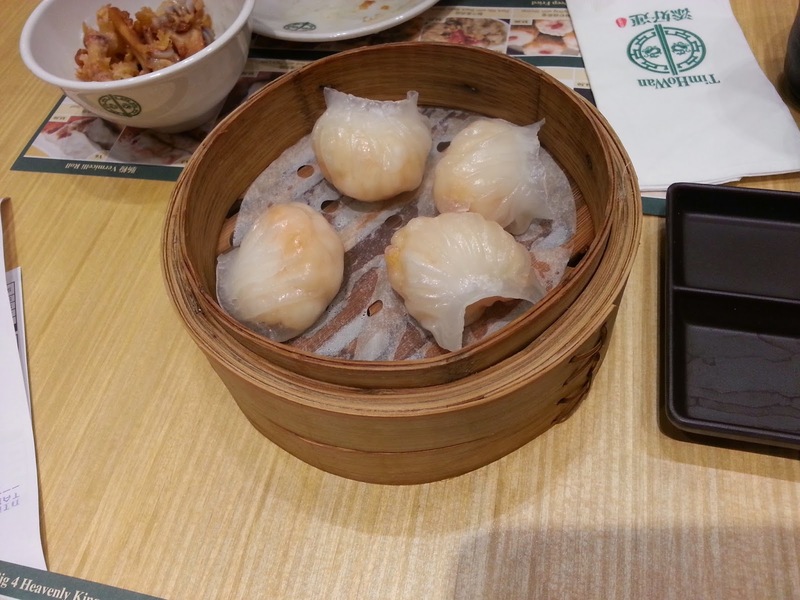 Tim Ho Wan is a popular Michelin starred Dim Sum restaurant in Hong Kong. Singapore is its first overseas outlet. I heard people queued for as long as 3 hours just to get seated in the Plaza Sing outlet when it first opened. I was quite put off by the long wait so i thought now would be a good time to go there since it already has 4 outlets in Singapore and probably the queue will not be that long after 1 year. I went to the Bedok mall outlet with my family at around 1:45pm just now. I thought there won't be many people there by this time but i was absolutely wrong. The restaurant was fully packed and there were about 20 people queuing outside. We actually walked off thinking the wait would take at least an hour. Luckily as i was walking off, i saw about 10 people being brought inside the restaurant and the queue shortened quickly. Decided to queue now since not too many people. Within 10 mins even before we decided on what to order, we were already brought into the restaurant. They had a very good system of organising seats for its customers. Every thing was in proper order. You may be thinking why am i blogging about food and more so expensive restaurant food in my finance blog? Well, i don't usually eat at restaurants except when i give my parents a treat like this time. This is one of those occasions when i'm less concerned on money. Its good to splurge on food especially when it comes to good food with your own family. Good things are meant to be shared with your loved ones aren't they? "The term "Michelin Star" is a hallmark of fine dining quality. Michelin awards 0-3 stars on the basis of anonymous inspections by reviewers. The reviewers are supposed to concentrate on the quality, mastery of technique, personality and consistency of the food, not on interior décor, table setting, or service quality." "The reason Michelin stars are so coveted is that most restaurants receive no stars at all. For example, in the Michelin Guide to France 2009, 3,531 restaurants are included, but just 548 received a star. Most of these restaurants -- 449 -- received one-star, 73 received two stars, and 26 received three." It seems like not many restaurants have been awarded even one star. Having just one star is already an achievement. So did this Dim Sum restaurant lived up to its standard? 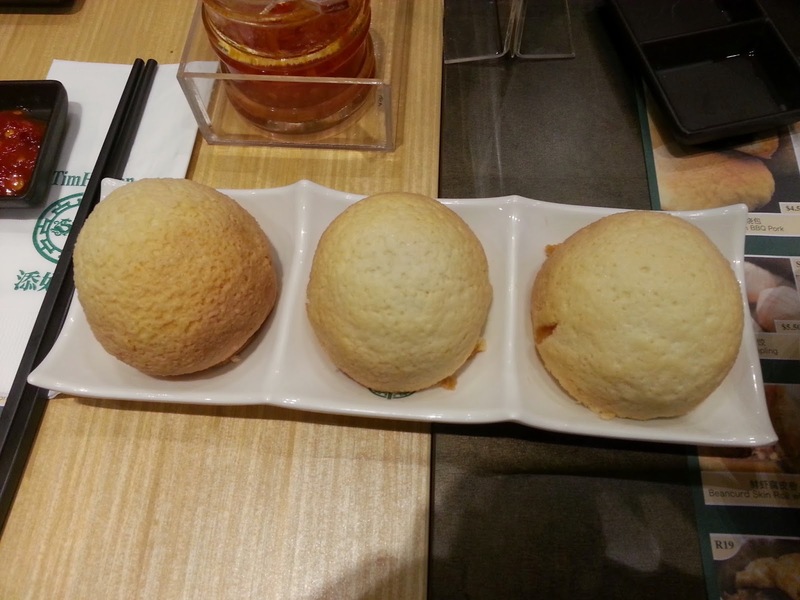 This was the famous BBQ pork Bun. It's so nice and round that it would capture the attention of anybody who walked past. 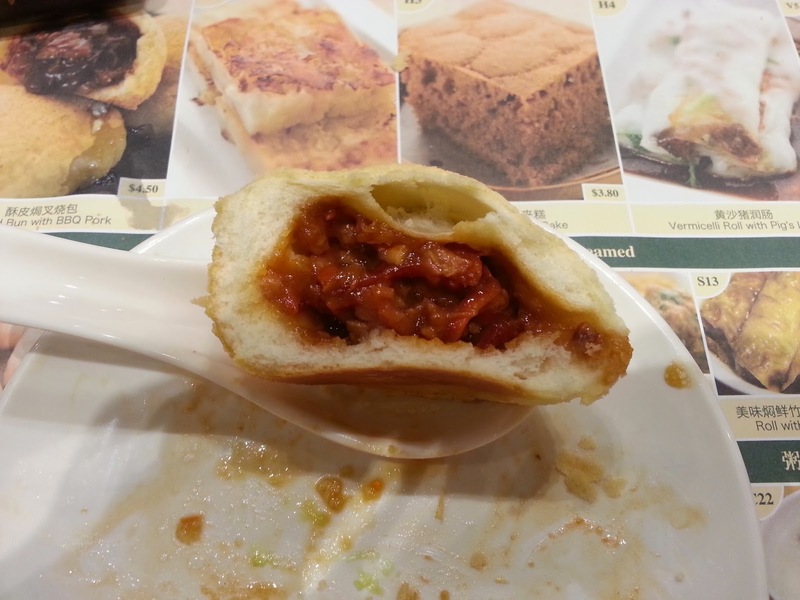 The bun was really soft with juicy BBQ pork inside. 3 buns for $4.50. It was special and unique in its own way. Don't think i've tasted any other bun as good as this in Singapore before. A must try if you're there. 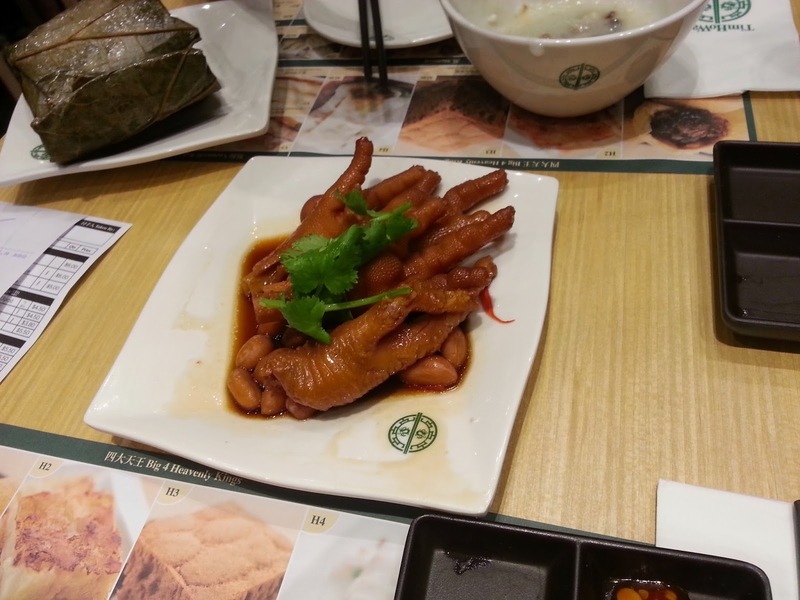 This chicken feet was a chef recommendation in the bedok outlet. Cost was $5/plate. To me this was nothing special. I've tasted better chicken feet elsewhere. 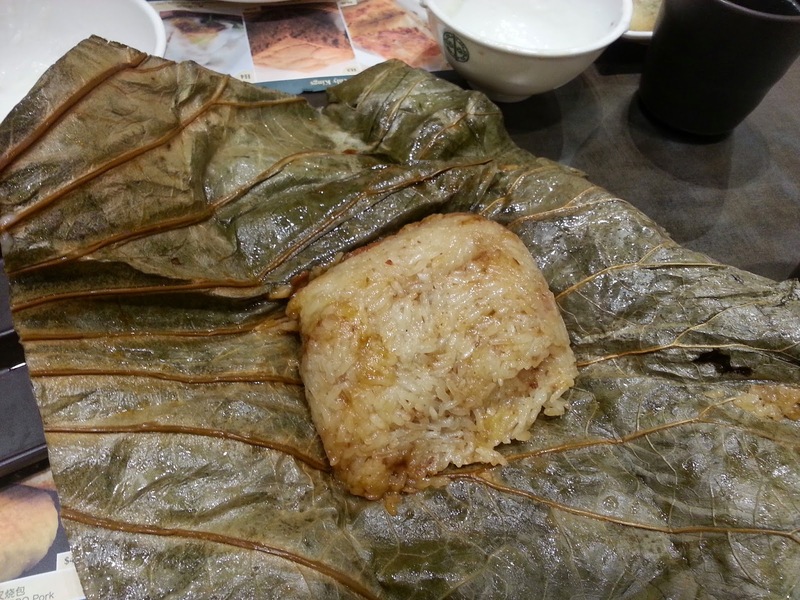 Glutinous rice with lotus leaf. $5 for this one. This was quite good. The rice is seasoned perfectly and the texture was smooth. Recommended to try when you're there. Prawn dumplings for $5.50. The filling was really full of fresh prawns. Quite worth the money. However to me, the taste was only average. Could be seasoned a little bit better. 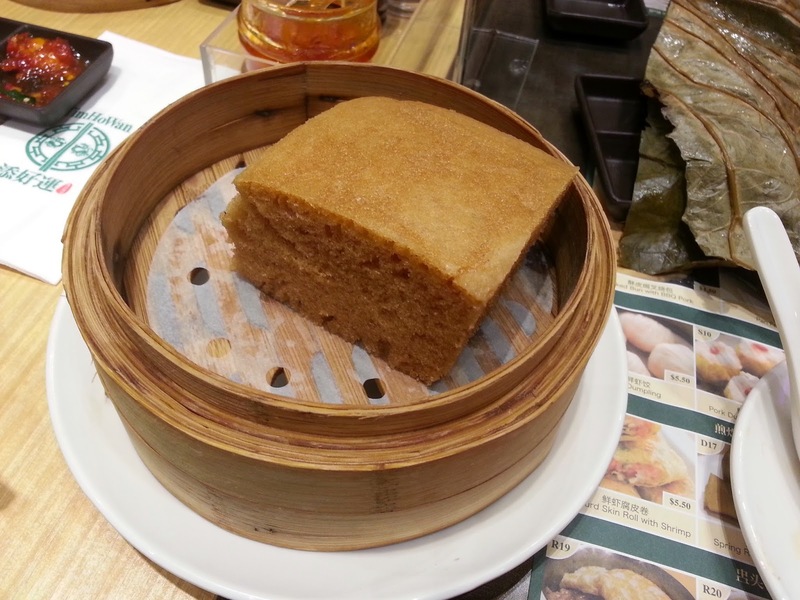 This was a famous egg cake which i've seen other bloggers recommend. $3.80 for this one. I'm not a fan of cakes or bread stuff but i have to say this is really fluffy and soft. Taste was perfect with just the right amount of sweetness. However, i would think the cake is a little on the dry side. Not sure if its suppose to be like this? In total, i ordered a total of 11 items with one chinese tea drink each. Some items i did not take pictures of it. 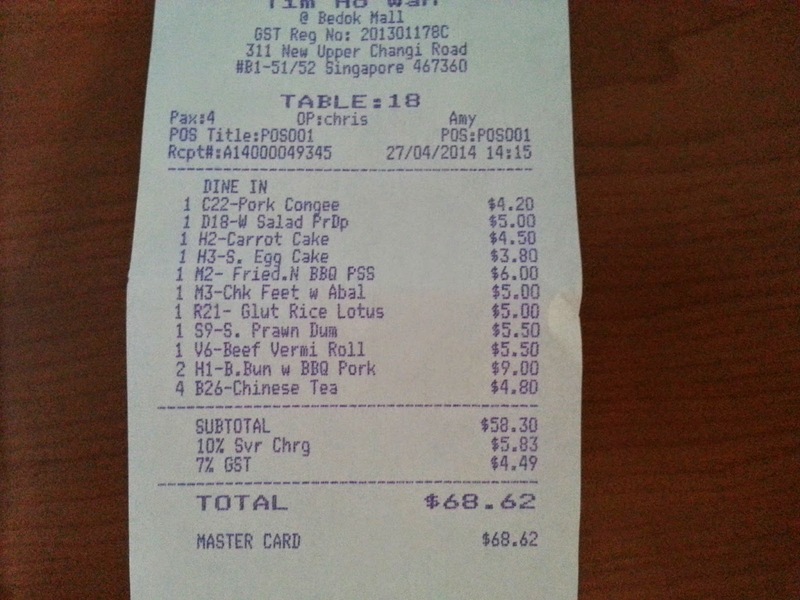 Total cost was $68.62 including GST and service charge. Not too expensive considering the good service and the quality of the food. Other items i ordered include wasabi fried prawn dumpling, fried hong kong style noodles, beef vermicelli, carrot cake and pork congee. Another food i would strongly recommend is the pork congee or some may call it porridge. It's $4.20 for a small bowl but i would say its worth every bit of the price. The taste was just fantastic and the congee just melts in your mouth. I saw almost every table ordered this. Overall, the experience was good. The restaurant was not understaffed and food came in fast even though the place was fully packed. The staff were polite and didn't rush us at all. Can see that they are trained professionally. Thank you for reading my first attempt on food review. Hope you liked this little twist in my blog. Risk is something inherent in investing. Some investments are so risky that the possibility of losing all of your investment is possible. The thought of losing all of one’s investment, or even just a part of it, can easily discourage some people from making an investment, which is rather unfortunate. It’s easy to just flock to the safety of just saving your money in a bank. You could be thinking that your money is safe and even insured by a government agency in a savings account. It even earns interest, so why should you still bother to invest? One way to see it is this: the money in your bank, aside from earning only minimal interest, is actually losing some of its value. Savings account interest rates these days earned are so small that many lag behind the inflation rate. An example of this is the situation in the UK in June last year where depositors actually needed to find a savings account that has an interest rate of at least 3.38% to beat the inflation rate. If depositors don’t find a higher rate, the value of their money basically erodes. Sure, you could work hard and earn more money, but if you really think about it, how long can you stay productive? A smarter way to go about protecting the value of your money is to make it work for you through investments. As we’ve mentioned earlier, investing has inherent risks. But there are so many investment options that you can take steps to minimize these risks and still realize positive returns for your investments. Stocks and bonds are common investment instruments that you could look into. You have others that pose smaller risks, such as blue chip stocks and government bonds. Having a diversified portfolio has always been a recommended risk management method. It basically means putting your money in different types of investments. It’s following the age-old advice of not putting all of your eggs in one basket, so if for instance you invest in stocks, don’t invest in just one company. You could further diversify your portfolio by investing in the stocks of companies from different geographic areas to further shield you from any regional political or economic conditions that can affect the stock’s value. Going into business is also considered an investment. You invest your time, effort, and capital to start a business and there are many possible factors that could play a role in the success or failure of your venture. There’s the regulatory risks such as the government suddenly raising taxes so that you would find it hard to make a profit or risks such as a road construction right in front of your business just a few months after you open that severely cuts foot traffic to your establishment. Before making any investment, it’s thus essential that you first study all of the aspects of the investment. This is the part where taking a risk becomes taking a calculated risk. This is the idea that Malraux was talking about which differentiates a successful person from one who is a failure. Once you decide to invest in stocks and bonds or even start a new business, you then have to choose how to go about investing. Ideally, you should always have an emergency fund saved up in a savings account that you could tap into. This amount should be enough to sustain you for eight months at least even if you don’t have any other source of income. Keeping an emergency fund helps minimize your investment risks. Money in excess of that emergency fund can be invested but there are other sources of funds, such as getting a personal loan, but you should think twice before taking this option since the profit that you may earn from your investment may not be high enough to cover the interest payment that you need to pay on top of these loans. There are also business organizations that you may want to tap since there are some that offer business assistance for people like you who are interested in starting their own business. Or you could go big and seek investments from venture capitalists and angel investors. Studying your investments well and your options should any unforeseen events happen can help you make a calculated risk when investing. Malraux emphasized this but all this planning is studying will not bring you success unless you learn how to act on it. Ryan Del Villar works as a Content Strategist for MoneyHero. He is also a freelance online reputation management writer. Do you have fine wine taste and cheap beer budget? It’s absolutely fine - majority of the college students survive on a tight budget while the remaining get indulge in relentlessly over drawing. But it always does not need to be so. Read along to find out how! Saving money as a student can certainly prove to be quite a daunting task. It’s very likely that you are at present making very little or no money at all and the sum you have is simply not adequate for you to make big purchases or to help you get past a wedge. You need to be clear about the goals you set out for your monthly or weekly expenditure. Decide whether you are looking to save a few bucks for a lunch or dinner party or you want to save for a big vacation that you've been planning for long. Next you are required to figure out your short-term and long-term goals and then decide how much can you save for each of them. Even if you don’t have any goals in mind, it is still advisable to keep a small amount separate for future use. Such savings would help you easily get out of any blind event and emergencies in the near future. Once you determine the total amount of your savings, you can then finalize the amount you need to put away every week to meet your targets on time. Example, if you are required to purchase a set of books (priced about $300) after three months, then your monthly target would be to save a minimum of $100 every month to make it $300 after three months. If you make more money, you can genuinely save more. If the load of your studies in under your control and if you feel you have the capability and potential to take up another activity, seek part time jobs that better fit into your schedule – you can consider home tutor options in Singapore. There are many colleges, which provide students with convenient part-time jobs in campus libraries, bookstores and computer labs. The administrators at such places know that you’re a student and understand the importance of attending classes and therefore you might be allowed to work for one or two shifts every week. Opting for delivering private tuitions in Singapore can be one great way to making extra income. The little piece of card – student ID card can help you gain lots of discount coupons on various merchandise and food items at great many places. Make sure you check in your student services department to learn what discounts are available to you. 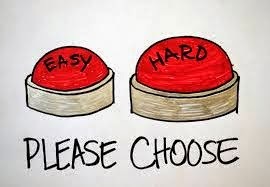 Many of us like things to be easy. How about being rich the easy way? Can it be easy? Your parents most probably told you that there's a price to pay to be rich. You need to work hard, sacrifice and have lots of stress to earn a lot of money. That's a lot of hard work. 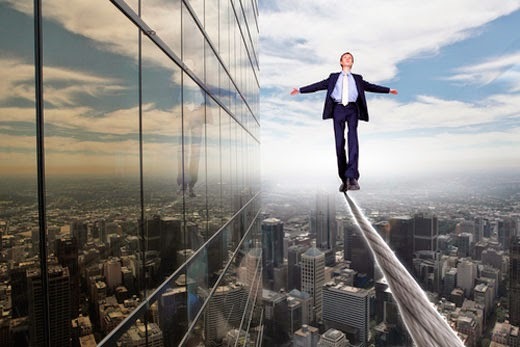 If you want to climb up the corporate ladder, most likely your workload will increase as your pay increases. The amount of responsibility and stress increases as well. But do you know there is a hard way of being rich and there is also an easy way to being rich? Here i'm talking about being rich and not getting rich. You can be rich but not have time or you can be rich but have all the time in the world. The easier way is of course the latter. In my company, the senior management is always busy. They have meetings scheduled back to back, phone calls to answer consistently, emails to reply even at midnight and a lot to answer for if things doesn't work out well. Sometimes me and my colleagues wondered if its worth it to work so hard just to earn that amount of money? They have the money but do not seem to have the time to enjoy it. This is the hard way of being rich. What if I tell you there's an easy way to become rich? Now, before i go on further, I have to say I'm in no way implying that getting rich is easy. However, we can make the process get easier and easier towards the end. The key is in making your money work for you. Once money is successfully working for you, your life gets easier and you do not even have to worry about getting retrenched or about not having enough money. Work for money or money work for you? A person who works for money can only work to a certain age. The older he gets, the higher chance he would get retrenched. If this person gets retrenched, he has no income and may find it hard to find another job. At retirement age, his income goes to zero and he will have to rely on his savings to survive. A person who lets money work for him does not worry about losing his job. When he reaches retirement age, he still has income even though he's not working and does not even need to use his savings to survive. This person can retire as long as he wants. On the other hand, the person who works for money can only retire up to the day his savings is depleted. Once that happens, he may have to go out to work again. This does not mean that we do not have to work for money at all. Yes, in our younger days, we'll have to work for money. But, learn to use the money you work for and slowly let it work for you. Passive income is the money generated when money works for you. 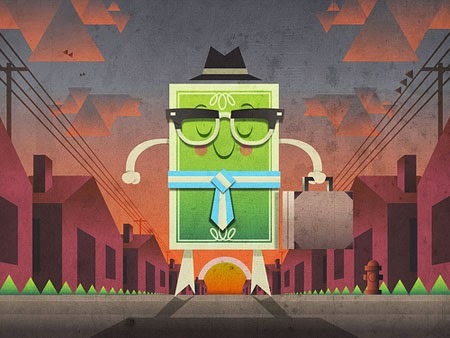 By now, you should be wondering how money can work for you. How do you create passive income? Imagine money still coming in when you're travelling overseas or even when you're sleeping? This may be a bit exaggerated but that is the gist of what passive income is all about: Money working for you. The easiest to understand way to generate passive income is by buying a property and renting it out. The rent you collect every month ensures a constant flow of income for you. The tough part is saving up your money for the first property. It does require a substantial amount of capital. By far this the most common way anyone can generate passive income for themselves. Passive income comes in the form of dividends from stocks. You can start with little money but to build up a strong portfolio, you still need a strategy plus more capital. This investment may seem easy at first but it actually requires knowledge and experience to do well in it. Lifelong learning and patience is the key. The internet is the new age of technology for at least the past 10 years. Many people have created websites which generates income in thousands of dollars monthly. Income can be generated through affiliates program, pay per click advertisement, direct advertisers etc. If you're able to attract traffic to your site, money will surely flow in and advertisers will look you up. If you have the talent and passion for music, you can consider producing your own music albums. I had a friend who did just that. Or if you have a passion for writing, you can consider writing and publishing a book. I've seen many other bloggers who published their own book. I think its quite an achievement to write a book numbering 200 plus pages. I heard it takes years just to write a good book so its not easy at all but it'll be well worth it once its completed. There you go. 4 simple ways on how you can create passive income. Well, it doesn't look that simple now but if you work at this direction, then you'll surely be able to generate that passive income which you desire. Most people choose to strive and work hard in their careers but don't know that earned income may be a risk in itself. You may lose your career in just a matter of days especially in our challenging and competitive world now. Don't get me wrong. You still need your career now and yes, do work hard at it. But along the way, learn to use the money you earn and save, to let it work for you. The knowledge of generating passive income will stay with you for the rest of your life. The passive income, generated successfully after years of hard work, will pay off eventually. Do you think that humans only like to buy things when its cheap? We know everyone likes discounts and many people rush to buy stuff when there's a sale. But did you know that humans like to buy things when its expensive also? Look at the housing prices now. Many people say its so expensive but people are still buying. In fact, its when housing prices are most expensive that everyone rushes to buy. It's the same with the stock market. Only after stock prices have risen by a lot then many people rush in to buy. Most people follow the crowd when buying. It is this conformity which results in us always buying stocks at a high and buying properties at a high. If you want to be successful in investing, then you have to buy at the low or at least a lower price than others. If you buy at the high, you are never going to do well in any investments. I saw this funny video which shows how easily humans conform to their surrounding. This may well be the main reason why we follow the crowd and buy at the high. Watch it and have a good laugh. Just don't let it happen to you! Investing in properties is one of the many ways to create passive income and you can even get rich through this investment. When we think about property investment, there may be many questions on our minds. When is the best time to invest? How much money do we need? Is it risky? What's the strategy to successful property investment? I'm privilege to have an interview with the owner of property soul and feature it in my blog today. She's a property enthusiast who bought her first condominium unit for rent in 2002. In the next 4½ years, she built up a portfolio of five private properties. By 2008, its total value had more than doubled. In 2010 and 2011, she sold four of the properties, realizing a net profit of 80 to 120 percent. This year, she published her first book titled " No B.S. 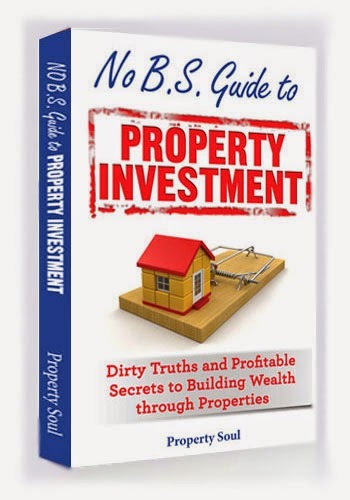 Guide to Property Investment – Dirty Truths and Profitable Secrets to Building Wealth Through Properties." In this interview, she will share with us more on property investment and what we can expect from her new book. Q: Tell us more about property soul and what is it about? 2. To exchange ideas with fellow investors on accumulating wealth through properties. 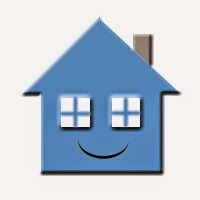 PropertySoul.com has by far published over 120 blog posts which are often being reposted at Yahoo News, TheFinance.sg, Singapore Investment Bloggers, Propertyguru.com.sg, Singapore Daily, Propwise.sg, Singapore Business Review, Temasek Review and other wealth blogs. I am grateful that my blog has a regular group of followers now. We also organize Meet the Blogger sessions for networking. The next one will be held on April 27. Q: How and when did you get interested in property investment and what got you started? I come from a very humble background and I have dreamed of owning my own place from a very young age. I started researching about private properties after I relocated myself to Singapore in my 20s. And I finally bought my first private property for rent before the age of 30. Q: How would you advise a young person, with zero experience, who wants to invest in properties? What are the risks involved? 1. Don’t buy what everybody else is buying. 2. Don’t buy what the ‘so-called experts’ recommend. 3. Don’t trust any get-rich-quick program. 4. Don’t believe in buying with little or no money down. 5. Don’t think that it is so simple to buy with crowdfunding. Because you can end up holding an overpriced property, a troubled property, a white elephant, or a negative equity (when property value falls below outstanding loan). It can take years, decades or forever to breakeven. The only formula to accumulate wealth through property investment is to ‘save before invest’, and ‘research before purchase’. Q: What are the factors you look out for when you invest in a property? Is there any strategy to be successful in property investing? 4. A good resident or tenant profile. For strategy, I like to call it the winning formula STAB (Specialization + Teamwork + Analyses + Back-up plan). 1. Specialization: Focus on your strengths and build your priorities. 2. Teamwork: Build a strong team with your investment partner, property agent, mortgage bank, conveyancing lawyer and accountant. 3. Analyses: Conduct your own research and analyses. 4. Back-up plan: Have a contingency plan and more than one exit strategy. Q: Would you share with us what properties you have in your investment portfolio currently? Do you invest in overseas or Singapore properties more? Currently, I have sold all my properties in Singapore except the one I am staying in now. To make real money in any investment, you have to move in early when things are cheap. Make your money, exit early and pass the risk to the excited latecomers who can’t wait to get in. 3. When I know more than the locals in that foreign property market. Q: I heard you have a new book titled: "No B.S. Guide to Property Investment – Dirty Truths and Profitable Secrets to Building Wealth through Properties". Could you tell us more about this book and what readers can expect from the book? I am sharing with the readers an unbiased view of all the truths I know in the property industry; the lessons I learned after making my first bucket of gold investing in properties; and the stories I heard from property buyers, sellers, landlords, tenants, agents, lawyers and bankers in my 12 years’ of property investment – all in 371 pages, 10 chapters, 101 articles and 50 real-life stories. Q: Lastly, what's your view on the current situation of the property market? Is it a good time to invest? If not, when would be a better time to invest? We have reached a turning point since 2013, though the media only starts to report it since 2014. It is not advisable to buy when the market is on its way down. As you can see in the history of property prices, patience will always be rewarded. Property has a cycle. Catch it only when it is low. I've received a complimentary copy of the new book just recently from the author herself and have read the first few pages of it. The book is filled with real life experiences and honest sharing of strategies in property investment and provides readers a complete guide to it. This book is set to be available for sale at major bookstores in Singapore towards the end of this week. You can also access a free preview of the book here. Saw this short interview with Jeremy Yong, co-founder of Croesus retail trust. As i've blogged before, Croesus retail trust is a business trust which owns shopping malls in Japan. They currently have 6 properties under its management with 2 of them in Tokyo. I'm vested in this trust since November last year. You can read more on my previous posts on Croesus in the related posts below. In the meantime, here is the video of the short interview with it's co-founder, Jeremy Yong. 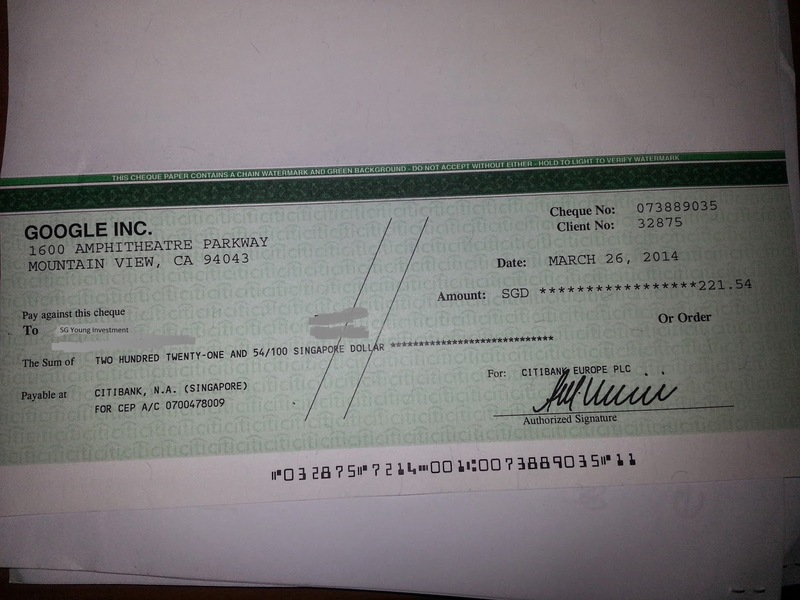 I got my first Adsense check from Google and it was not a bad paid out. I'm quite happy with it as its my first taste of creating income from the internet. First experiences are always good aren't they? Some may say this extra income is not a lot but i think it's better than nothing. Slowly still picking up my baby steps. I hope this will inspire you to create your own extra income too. I'm at an age where many of my friends who are attached, are planning for their marriages. One concern i've heard many many times is the affordability of housing in Singapore. As most of my friends are still studying, they are worried that they would not have enough money to buy a house. What happens if they want to get married but cannot afford to pay for the house? No money, no house? Are these your concern too? The government of Singapore have said that they will make housing affordable for most Singaporeans. They will make sure every couple can afford a house as long as they are working. Actually, in Singapore, everything is planned out for us to buy a house. Let's see if housing is really affordable in Singapore for different income level groups. A couple who wants to purchase their first home will most probably apply for a Built To Order (BTO) flat. The government has subsidized these flats and this is especially so for first time buyers. There are various grants available such as the additional housing grant and the special housing grant. The special housing grants of up to $20,000 was initially given to low income families but now it is extended to middle income families. Let's take a look at the cost of housing for 2, 3, 4 and 5 rooms flats in Singapore. What are the grants you will be eligible for your income bracket? Can a family with a combined income of less than $2000 still own a house in Singapore? Yes they can. 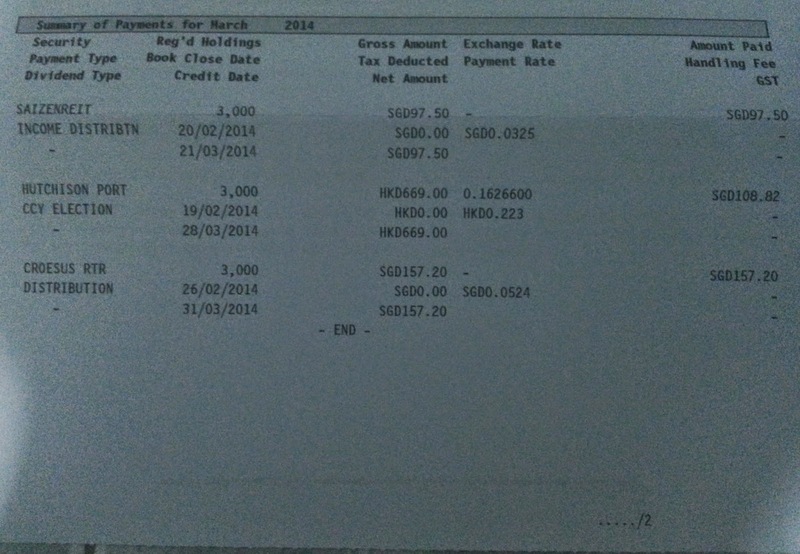 With reference to the latest March 2014 BTO flat price in Yishun, a 2 room flat cost around $94,000 to $118,000. This is a 47sqm house with one bedroom, one bathroom, one kitchen and one living/dining room. 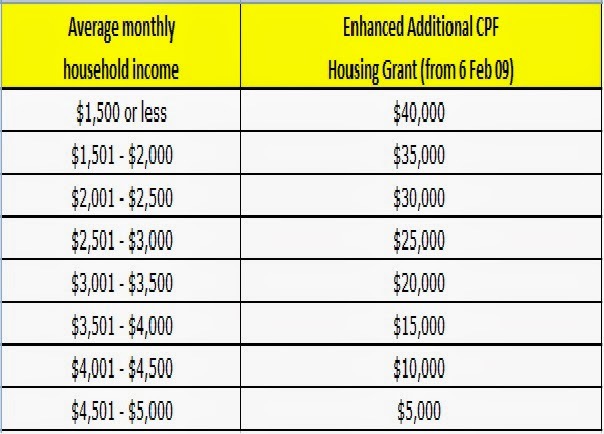 Let's say the couple has a household income of $1700 monthly and they buy the 2 room flat at $105,000, they will be eligible for an additional CPF housing grant(AHG) of $35,000 and a special CPF housing grant of $20,000. After deducting the grants, the net cost of the house is $50,000. If they take a loan for 25 years, the monthly housing loan payable is $182. This is quite affordable for their income of $1700. With a family income at the above range, this couple can afford to buy a 3 room flat in Singapore. The March 2014 BTO 3 room flat price in Yishun is in the range of $150,000 to $186,000. This is a 68sqm house with 2 bedrooms, 2 bathrooms, one kitchen and one living/dining room. Let's say the couple has a household income of $2600 and they buy the 3 room flat for $170,000, they will be eligible for an additional CPF housing grant of $25,000 and a special CPF housing grant of $20,000. After deducting the grants, the house now cost $125,000. If this couple takes a 25 years loan, their monthly housing loan payable is $490. Again, this is quite affordable for their income of $2600. It's only about 19% of their monthly income. With a family income of more than $4000, a couple can afford a 4 room flat in Singapore. A 4 room flat price in Yishun according to the March 2014 BTO launch is in the range of $252,000 to $302,000. This is a 93sqm house with 3 bedrooms, 2 bathrooms, one kitchen and one living/dining room. Let's say the couple has a household income of $4400 and they buy the 4 room flat for $275,000, they will be eligible for an additional CPF housing grant of $10,000 and a special CPF housing grant of $20,000. After deducting the grants, the house now cost $245,000. If this couple takes a 25 years loan, their monthly housing loan instalment payable is $987. To buy a 5 room flat, a couple should have a combined income of more than $5800. The price of 5 room flats in Yishun is $316,000 to $386,000 in the March 2014 BTO. This is a 112 sqm house with 3 bedrooms, 2 bathrooms, one study room, one kitchen and one living/dining room. If the couple with a household income of $5800 buys the 5 room flat for $350,000, they will not be eligible for any grants. Any couples with combined income of above $5000 will not be eligible for any grants. If they take a 25 year housing loan, the monthly repayment amount is $1430. This is already 25% of the couple's gross monthly income. Most couples will be able to buy their first house after working just 1-2 years. The down payment for a BTO flat is 5% of the house price on purchase and another 5% after the flat is completed. For CPF, you can only use the money in your ordinary account for housing loans. For persons age 35 years and below, CPF contribution rate to ordinary account is 23%. For Combined Income of $1700. CPF contribution in ordinary account is $391 monthly. More than enough to pay the housing loan of $182 monthly for a 2 room flat at $50,000(after deducting grants). CPF contribution in ordinary account is $598 monthly. Enough to pay the housing loan of $490 monthly for a 3 room flat at $125,000(after deducting grants). CPF contribution in ordinary account is $1012. Enough to pay the housing loan of $987 monthly for a 4 room flat at $245,000(after deducting grants). As you can see above, most of us do not even have to pay extra cash for a house. The government has planned it out for us. As long as our monthly loan instalment payable is below 23% of our gross monthly income, we do not have to fork out any extra cash for the instalments. For most of us, we can all afford a house. There is no need to worry about not being able to afford one because housing prices are so expensive now. The affordability problem therefore lies with us individually. 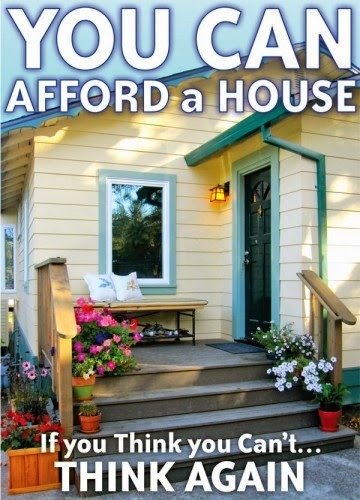 If you buy a house more than what you can afford, then it becomes unaffordable. The truth is this, if you have low income, buy a small house. If you have higher income, then you can consider buying a bigger house. I hope the above 5 scenarios of different income levels will be a rough guide for you to consider which type of house you can afford to buy. Take advantage of the various grants available and it will certainly lessen your financial burdens. Share it with your friends who are planning for their new life too. The first step on the road to savings is the toughest. It takes baby steps and a lot of determination to build a reserve for a rainy day. Once the money starts accumulating, the confidence grows and a person can start making bigger and better plans. Some steps are very simple and just need some determination; others are a little complicated and need more meticulous planning. 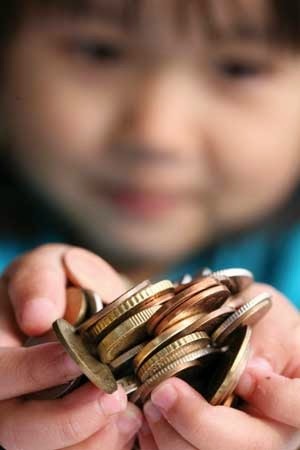 On the whole, saving is a habit that should be inculcated in children from a young age, to help them lead a stress-free and quality adult life. When selecting a bank to keep your savings, make it a point to compare interest rates and also the maintenance fees before taking a decision. If you find out that your bank is charging you more, feel free to switch loyalties anytime. Whenever you are tempted to shop impulsively, stop and ask yourself to wait for thirty days. If after that period you are still tempted go ahead, in most cases the desire is over by then. You will save a lot of money and become a disciplined shopper too. It always helps to go out armed with a shopping list to avoid buying unplanned items. Do not buy anything that is not on the list and pat yourself when you get out of a shopping mall safely without buying any extras. When calculated till the last penny, most activities when held at home are cheaper than going out. Calling friends over and entertaining at home will result in savings and also lend you an opportunity to spend quality spend time with each other. Children are very adaptive if you look for ideas to entertain them at home. The money spent on junk foods and countless other activities can easily be saved. Use stuff lying idle at home to organize activities to keep young kids blissfully occupied. Similar to banks, choose a credit card company that charges you the minimum rate. Customers with a good credit card history can also put in a request for reduction in the rate being charged. All these small savings add up to a substantial amount at the end of the year. The next time you see a flier for an ongoing promotion, go home and settle your closet first. Take a fresh look at the stuff you already have and then decide if you need more. It will give you the double satisfaction of a clean cupboard and money well saved. This morning i got a surprise from McDonald. 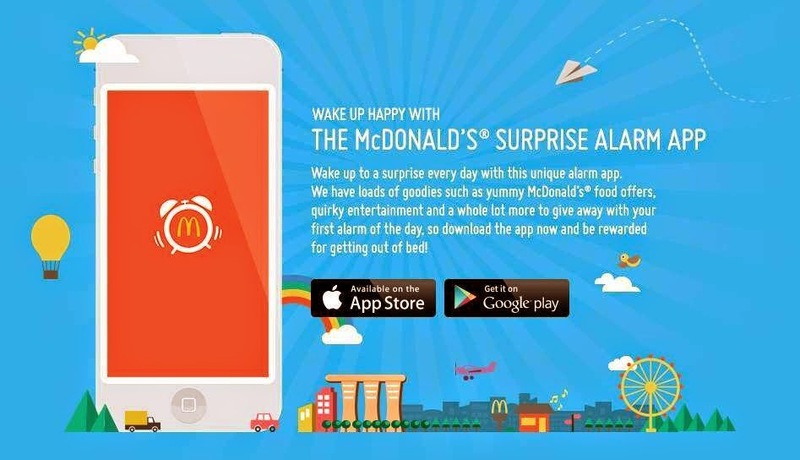 All thanks to the McDonald's surprise alarm app. 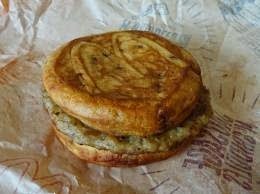 Got a free apple pie and my brother got a free sausage McGriddles. 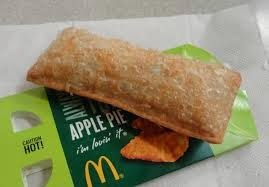 The apple pie was only available after 12pm though. Just set an alarm everyday and you get different offers from McDonalds every single day. It that simple. Some offers require purchase while some offers does not require any purchases. It depends on your luck. Nevertheless, its 100% sure to get something. I was lucky to get 2 free offers without any purchases. Try it to see how lucky you are. *This is not an advertisement and i do not receive any fees from McDonald for sharing this. 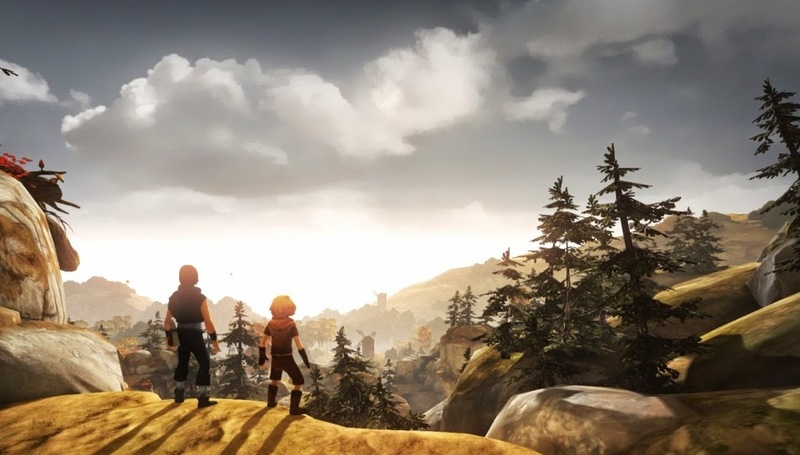 Once there were 2 brothers who were very poor. They and their family of 9 lived in a small apartment. They had to fight for toilets, walking space and even bedroom space. Desperate for a breakthrough out of poverty, the 2 brothers decided to venture into business. The older brother was working as a renovation contractor and he's paid for every work completed. There was a rich man who said to this older brother: " How much money can you earn by being an employee? The most you can take is 2 renovation projects per day being an employee. But if you start your own company and employ people to work for you, you can do many projects a day. Then you will be rich". The rich man words left a deep impression in the older brother's heart. He gave it much thought and decided to start a business to get out of poverty. As he was sharing his decision with his parents one night, coincidently his younger brother also said he wanted to start a business. Their parents were happy to hear that and thought maybe they would get out of poverty soon with 2 businessman in the family. The younger brother got to know an acquaintance who sells specially made crystallised products. He remembered his friend telling him a reputable European company was looking to buy this crystallised chips. He immediately signed a contract with the acquaintance to purchase $400k worth of chips from him. After that, he signed another contract with the European company to sell the chips to them for $520k. That is a $120k profit in just a few days, the younger brother thought. He was amazed at his luck even though he did not have any experience in business nor any experience in handling crystallised chips. When it was time to deliver the goods, his acquaintance did not send him the goods as promised and he could not contact him either. This was when he realised that he had been cheated. Because of failing to deliver the goods, he was also sued by the European company for breach of contract. He was demanded to pay $600k in damages or risk going to jail. A 120k profit became a $600k debt within just a few days for the younger brother. On the other hand, the older brother successfully started his renovation business and got a steady stream of clients from a reputable property developer. The boss of the property developer was non other then the rich man who said the words that left him the deep impression. The older brother had many years of experience in the renovation industry and was known for his integrity and good workmanship. That was what attracted the rich property tycoon to work with him. The older brother's business was a success while the younger brother's business failed miserably. Both took advantage of an opportunity which came knocking on their doors but the results was completely different. 1) When doing business, experience is important. Do not trust the wrong person or venture into something which is completely foreign to you. Yes you need to take risk to do business but learn to take calculated risk. 2) Do your best even in the little things. When you are an employee, having a good attitude and delivering good results will attract opportunities to you in the future. 3) When you have been doing your job for a period of time, you acquire the necessary skills and would have built the network of contacts. Starting a business at this stage will be less risky and easier as compared to starting out from scratch. What other lessons have you learnt? What are your experiences of starting a business?